A brand new DVD-ROM for use on interactive whiteboards in assemblies or classrooms. 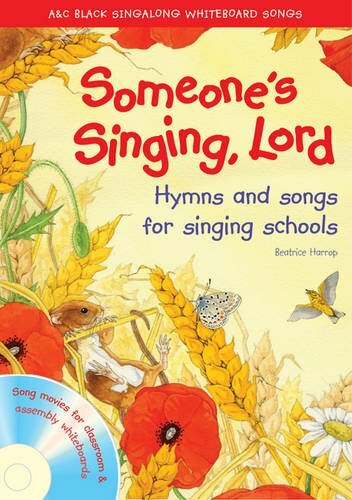 The Someone's Singing, Lord Singalong DVD-ROM allows you to teach songs and lyrics from the corresponding A&C Black songbook without the need for OHPs or photocopying. The DVD-ROM provides lyrics, performance and backing tracks for favourite songs from this well-loved collection of hymns for singing schools, which cover topics such as the world, the seasons, being a friend and caring for animals. Also includes new vocal performance tracks so that the songs can be taught easily, as well as exclusively composed backing tracks. No music reading necessary.